We live right here in Barrie, ON and our server(s) are in Toronto. Why have Web Hive maintain my website? You’re business and success is important to us. Each one of our staff knows your business by name and is there to help and advise you on anything related to your website. Don’t know who to call about a particular issue? Contact us and we’ll point you in the right direction, educating you along the way so that even if you have to call your Internet provider you’ll have all of the info you need. Some hosting companies rent servers or simply have a ‘reseller’ account with one of the larger companies. When you contact us for technical support, we won’t forward your email to a 3rd party company. We own and manage our own servers and provide full technical support in-house. For others to see your website, it’s stored on a publicly-accessible and secure computer (a server). 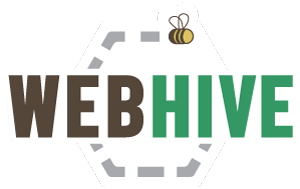 If you host with Web Hive, this server has an extremely fast internet connection, enhanced security, and an efficient command-line operating system without the bloat of a traditional user interface like Windows. When you pay for hosting, you’re renting a portion of that server’s storage space, speed, and features. What kind of hosting is included in your maintenance packages? In order to provide you with the best service, we require that your website be hosted on our Toronto based server. This allows us the access and control we need to ensure your website is properly maintained. Your website will be hosted on a Dell server with plenty of Ram, Storage and redundancies. Our server is housed in a Cogeco Data Centre with fire suppression, backup generators, power redundancies and top security.